Home > VALENTINE'S ARRANGEMENTS > Skyline Blvd. 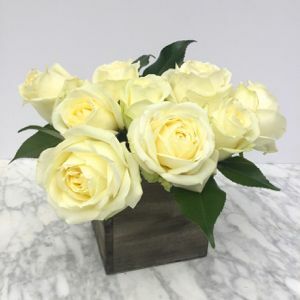 A low and lush arrangement with one dozen white roses and seasonal greenery. Approx. 8"x 8" please note: some flowers and colors may vary due to availability.